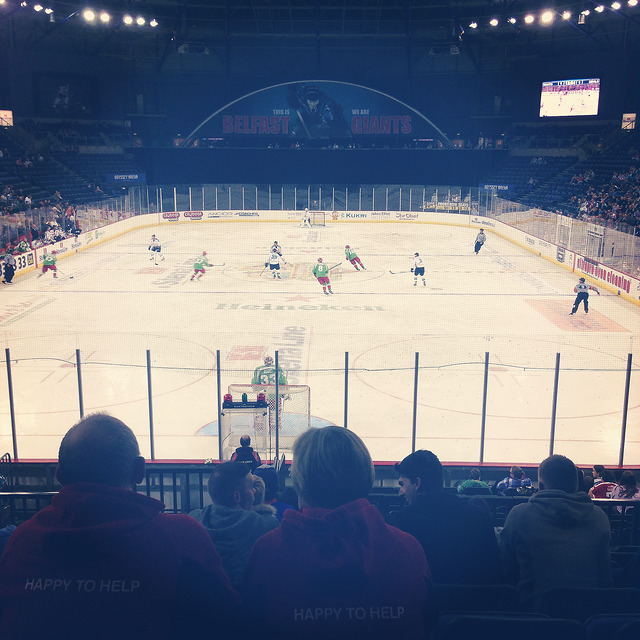 Bloo 'n' Stuff: Ice Hockey Nostalgia! I said when I started this blog that I wanted to live a more blog worthy life. I wanted to do more stuff, be spontaneous. Well as spontaneous as one can be when life requires forward planning and relying on others. Still, my New Years Resolution for 2014 was 'do more stuff'. And I think I've done pretty well. It might not seem that way to others, but I've done a lot more this year than I did in previous years. After enjoying the Winter Paralympics and then more recently the Commonwealth Games, I've really missed sport lately. I don't tend to follow regular sport. I don't have a favourite football team etc, but the big things I enjoy. I get totally sucked into the Olympic and Paralympic games. Some would say obsessed. When I say some, I mean my family have literally said I'm obsessed. But they are only every four years and I guess now that I have to wait two years for the next round of big games, I'm having a little bit of withdrawal. Sure there's Golf and Wimbledon to tide me over in the mean time, but still. My favourite sports are sledge ice hockey, ice hockey, cycling (love the velodrome), swimming and diving. There are other sports I enjoy too, but those are the top favourites. Something I've done for years is make friendship bracelets. When I fell in love with the team, I decided to make one for each player. I think it was like twenty two or something. I carefully thought out colours and attached their names to each one. I remember working on them for ages. I sent them off to their fan mail address, and hoped they would like them. 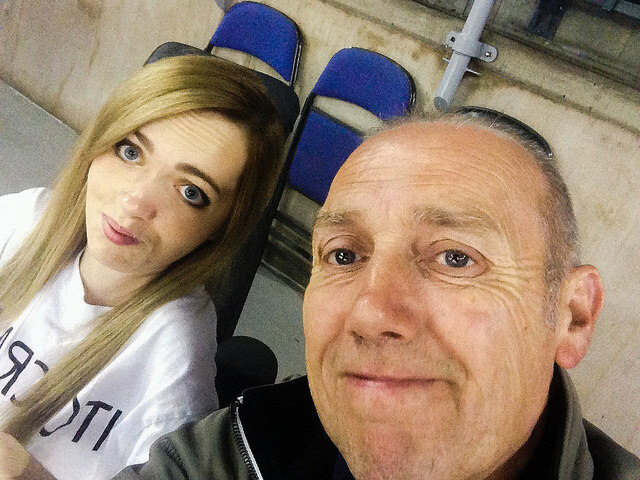 One night when I was at a game with my parents, my little sister and my aunt (which was a little weird because my parents didn't usually come, especially my mum), a man came up to me in one of the breaks and introduced himself. I don't actually remember who he was, but he explained to my thirteen year old self that they had received my bracelets and they had thought it would be nice if I handed them out myself. They had called my parents and arranged free tickets for us, and had planned the surprise for me to meet the team after the game. I was so nervous. As a disabled child you get all kinds of opportunities to do stuff and meet famous people etc, but that had never been my bag. It's actually something I actively avoided because I was so painfully shy. I remember getting ready after the game to meet them. I was meeting them in their locker room. In hindsight, it's a little weird they were sending a thirteen year old girl into a locker room full of sweaty men in various stages of changing out of their ice hockey stuff. At first I was going in by myself, but I was in my manual wheelchair and I can't push myself. I kinda just sat there shell shocked at the door of the locker room. Eventually they let my aunt and my little sister come in with me, and we set out to hand out the bracelets. That was no easy task. You would think after how much I obsessed over the team and loved them, it would be easier to tell who was who. But it's not like you properly see their faces when they're on the ice, and it's not like I knew I would have this game of guess who to play. Not to mention the fact I was terrified! Slowly I made my way around the room and somehow managed to give them out. It kind of went by in a blur. I only remember little snippets. I remember meeting Steve Thornton and thinking what a lovely and warm person he was. I remember my hands fumbling while trying to tie Kurt Bowen's bracelet on to his wrist and shaking his giant hand. They were all so big and manly. I remember Todd Kelman on a bike thing, warming down. 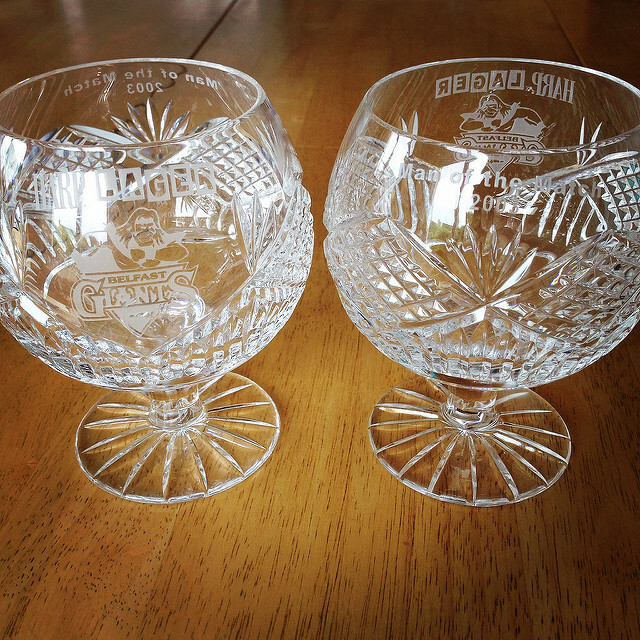 And last but not least, I remember Paxton Schulte giving me his man of the match glasses (pictured above). This was all before digital cameras and phone cameras, so I got a couple of photos on an old film camera and I really regret we never actually got around to having the photos developed. It's one of my fondest memories. At the time I was so scared and to be honest I didn't want to do it, but looking back I'm so glad I had that opportunity. Some of my best times were watching those guys play. As I got a little older I drifted away from the game. I don't really remember when or why I decided to stop going. One day I just... stopped. I've been once or twice in a last few years, but I never picked it up again like I had been going before. Maybe it was partly because my aunt drifted away from the game too, and she was the one who used to take me. Then on Friday I had a random urge to go again after seeing the first game of the season being advertised. Like I said, I've been missing sport lately. And with my new years resolution I've been looking for more things to do. Why not combine the two? The game was on Saturday, so I rung my dad to ask if he would take me. Cue the difficulty in being spontaneous thing I was talking about. Luckily my dad was in a good mood, and I guess the fact I said I would pay for everything made it hard for him to decline. I had thought about asking my aunt Karen to take me instead, but with my granny just getting out of hospital this week and such, I didn't want to put her on the spot. Last time we'd gone for my granda's birthday, she'd said it just didn't feel the same anymore. Anyway! My dad and I set off for the big game on Saturday. I was so excited. I knew I wouldn't know any of the players because it had been so long since I'd been, but I at least knew the coach/GM Steve Thornton. It was nice to have a familiar face. I was slightly disappointed that Todd Kelman had moved on just this year. He had become my favourite player ever through his great playing and the little article he used to write in the programme. He was very funny and I like to think my own writing in some way reflects his humorous and approachable style. He wasn't a player anymore, but had become the general manager. He moved on this year to manage the Cardiff Devils. That is who they were playing on Saturday night. It was a rough game. So many fights and four or five people were sent off! And it was only a friendly match. 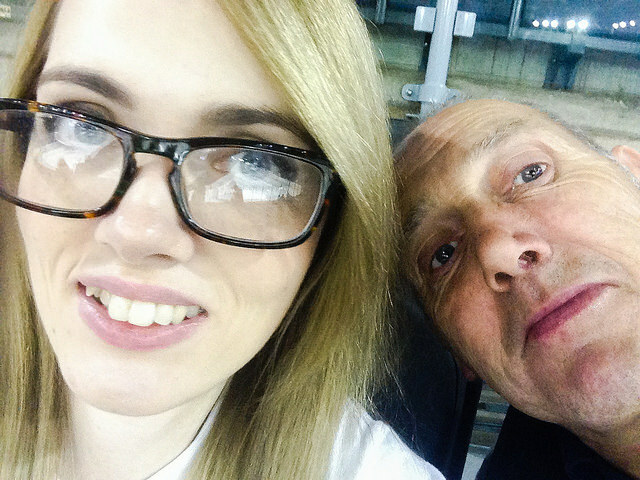 A rare father and daughter selfie! It was so great being back. I even recognised some of the fans in the wheelchair area from when I used to go. Not that they knew me. I felt so nostalgic and I knew I had to go to more games in the future. I might even get another jersey! I'm not sure my dad would want to go too much, but I told my aunt Karen that I was going and she seemed more interested than I thought she would. My sister Eva said she'd go with me too if by chance she's off work one of the nights a game is on. She's not a big sports fan, but I'm sure she'd enjoy it once she got a drink or two into her. Between the three of them I'll hopefully get to go once or twice a month. The next games are on the 12th and 13th, and I'm hoping my aunt Karen will take me to one of them. I'm really glad I'm getting into it at the start of the season so I'm not too behind on what's going on. Hopefully it won't take me long to learn who the players are and whatnot. There's also different teams and such now too, so I'll have to learn about them too. This entry was supposed to be about two other things, but I've kind of rambled on about this too much! I guess the other things I've been up to will have to wait until my next post. I'll hopefully do that tomorrow! So... until next time you can enjoy another father and daughter selfie! Do you have a favourite sporting memory or fan moment?